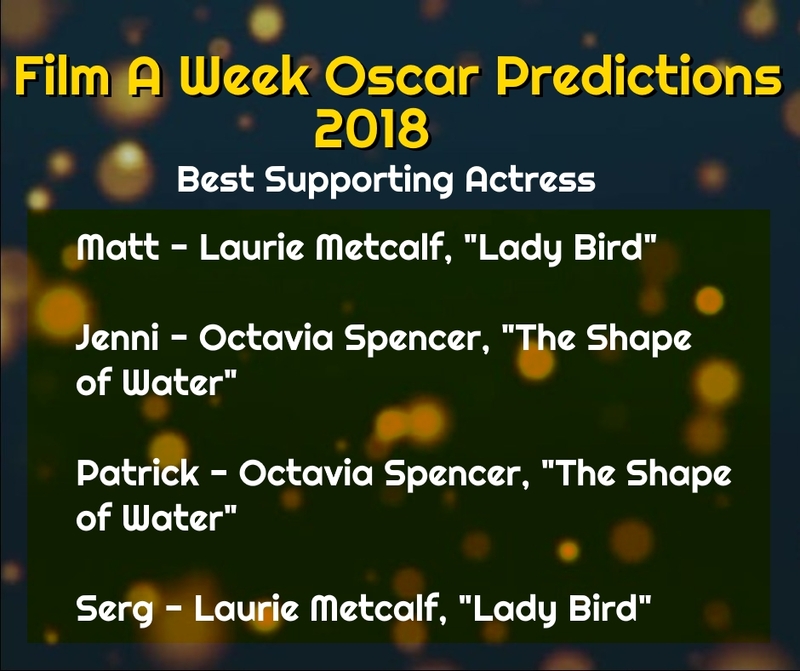 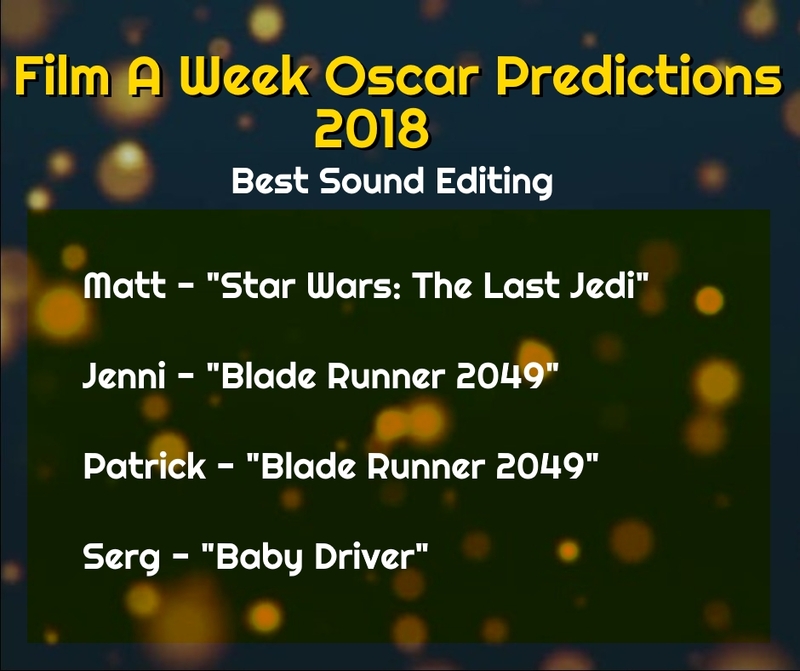 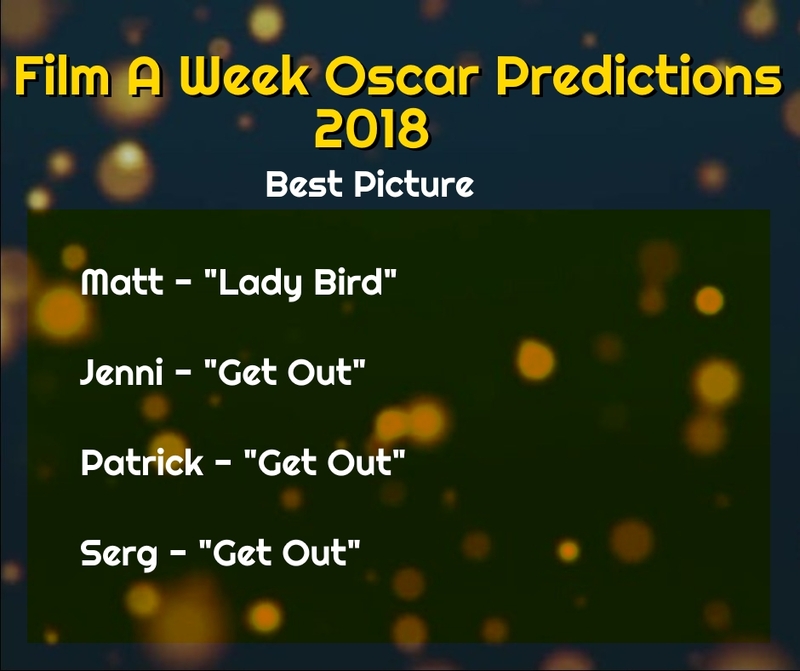 The Film A Week crew decided to make their predictions for the Oscars back in January when they were first announced. 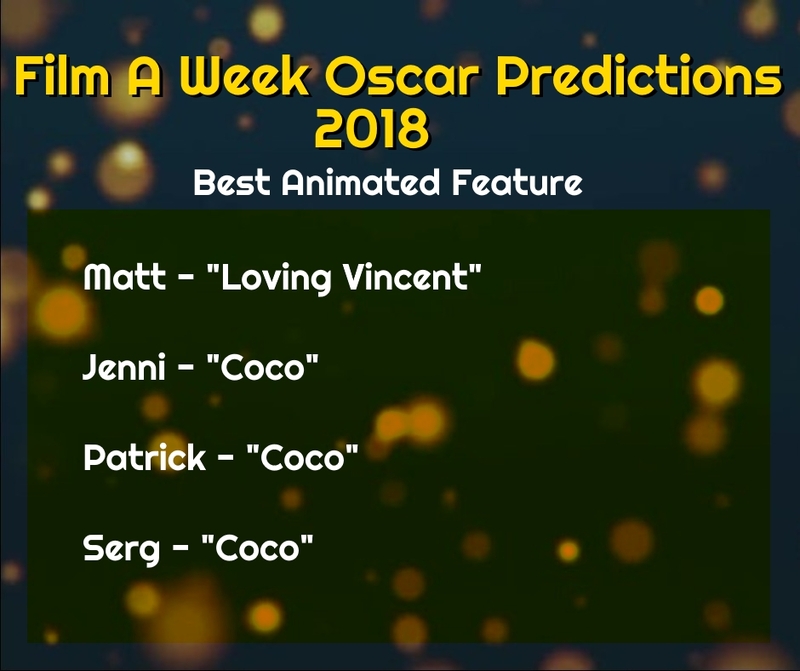 These predictions were made by myself, Patrick Raissi, Matthew Reveles and Jenni Chante (Host of Back to the Drawing Board, re-airing soon) in order to gauge our knowledge of the show of shows and to see who is the host with the most correct predictions. 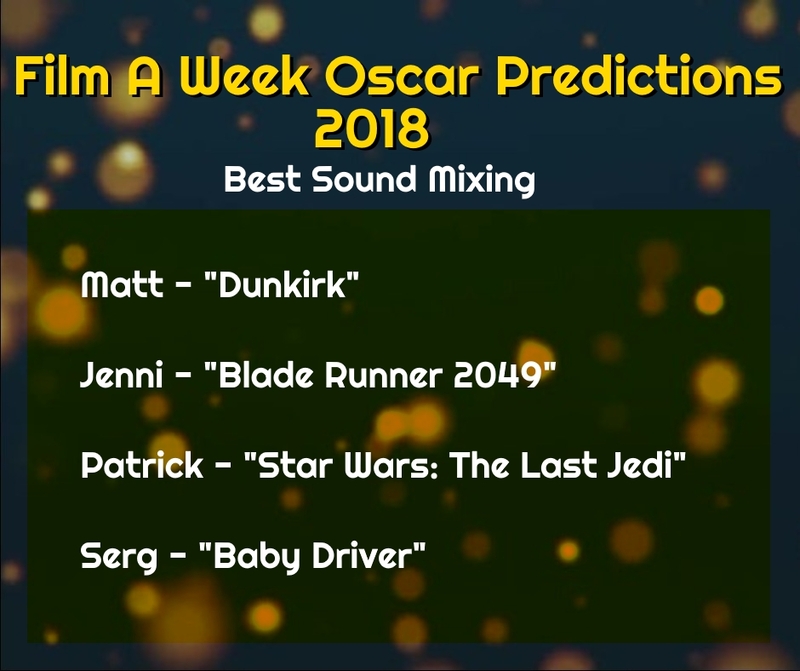 We also have a special audio version of our decision process for your listening pleasure on all podcast apps. 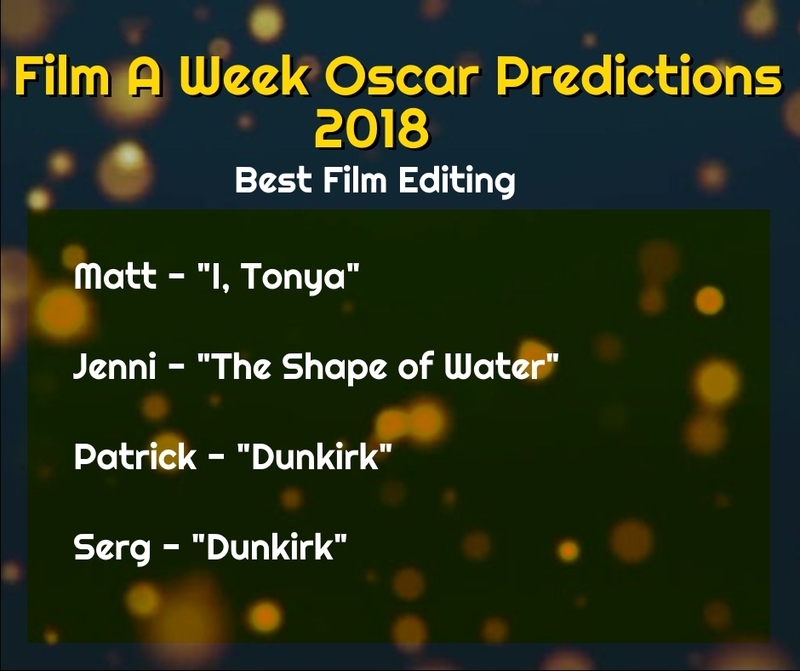 FOLLOW US ON FACEBOOK FOR LIVE UPDATES, WINNERS AND MORE!